Nic Cave-Lynch was born in England. His first lighting gig was lighting the school play at age nine. He studied at Birmingham University (Pure Mathematics, with an Electronic Engineering subsidiary component), but left to tour with rock 'n' roll bands in the lighting crews. Before long he had started his own Birmingham-based company, Cause & Effects, building special effects for stage shows. The company was short-lived - lack of business experience and tight competition - but two things are memorable from the experience. One was making the 21 life-size pyrotechnic cannons for the AC/DC "For Those About To Rock" tour. The second was a major development in stage lighting. Nic had the startlingly brilliant idea of putting a Par Can in a moving fibreglass yoke - in other words, he invented the first moving lights (or "intelligent lights" as they're now known). This was early 1981. Other companies were quick to copy and develop their own moving light designs (most notably Vari*Lite for Genesis' September 1981 tour), but Nic's Autoscan was the first to be both developed and successfully used. Clients who bought or rented Autoscan include Gary Numan, Asia, James Last, Billy Joel, and several nightclubs including the Hippodrome in London. Before its demise, Cause & Effects employed 12 other people. Nic moved to London to work for Avolites as Senior Design Engineer and Mr Fixit. Avolites was then the "must-have" name in the music touring industry for lighting control desks; part of their service was providing instant tech support for any of their products. Nic was on call to be sent anywhere on the planet at no notice; he would go to work with his passport and a spare pair of underpants in his pocket, and would fly to Europe or America carrying only a toolbox as luggage. (Don't try that trick now.) He stage-lit or was Mr Fixit for (among others): Pink Floyd, Queen, Prince, Michael Jackson, UB40, Hawkwind, Budgie, and Quiet Riot. Nic moved to New Zealand in 1985. At this time his career moved into hardware and software development, technical consulting, and management consulting; first as an employee (for Philips and Mitel) and from 1990 as a consultant. Tymar has been his trading name since 1997, and became a limited liability company (Tymar Systems Development Ltd) in 2007. 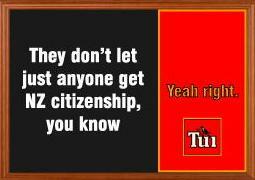 He is also now a genuine Kiwi, with a black singlet and a certificate to prove it. He now works as an independent consultant, specialising in telecommunications but also encompassing a wide range of projects. Self-developed products have included: a General Purpose Microcontroller board with an FPGA for custom VHDL; a database template system allowing easy website access and update; a stand-alone tool for data acquisition (logger); monitoring software for service call centres; and modems specialised for mobile radio data applications. For larger development projects, Tymar selects the best person from a range of subcontractors that have been successfully used before. In 2009 Nic returned to stage lighting, this time focusing on small bands where there is clearly a lack of decent lighting (or any at all). One of his first projects has been to design and build the "Hooloovoo": a versatile but portable lighting control desk. Version 1 will be on sale in 2010. Wendy Collings is a Kiwi born and bred, and is the quiet half of Tymar. She keeps everything running smoothly. She has a reputation for ferocity with clients who don't pay, but is otherwise sweet and kind. Interview with Steve Warren - former employee of Cause & Effects, now co-director of Avolites in London - published in Mondo magazine, Jan/Feb 2002, reproduced on Avolites' site (scroll halfway down).